The ASB office will not be able to accept checks for purchases after May 10, 2019. All transactions will be cash, credit or debit cards after that date. Bus passes and yearbooks will be cash only. This affects agenda books, locks, P.E. uniforms, bus passes and yearbooks. There will be an important Parent Information Night for any parents whose students will be attending the 6th Grade Outdoor Camp on Friday, March 15th. There will be a representative from WOLF Camp as well as sign-ups for fundraising opportunities. All fundraising money must be turned in by this time. Cash and Check payments must be made at the ASB Office. Make checks payable to Sinaloa Middle School. LATE PAYMENTS WILL BE ACCEPTED UNTIL MONDAY, APRIL 22, 2019. FULL PAYMENT OF $300 TOTAL MUST BE RECEIVED BY THAT DATE. NO REFUNDS WILL BE ACCEPTED AFTER 4-17-19. Fundraising opportunities will be offered. Incoming 4th-6th grades at Sycamore Elementary School. The classes are free to Simi Valley residents. For more information, please click HERE. Payment flyers will be sent home and available in the office. A pdf version is attached to this announcement. Payments are to be brought to school on April 10th and given directly to Cornerstone Photography. Please do not send or drop off payments to Sinaloa Middle School for your student before that date. Almost all of our Simi Valley Schools are considered Schools of Choice. (The standing exceptions to School of Choice are Hollow Hills Elementary and Vista Elementary, which are fundamental schools, and Santa Susana High School which is a magnet school.) In some years, schools that are filled to capacity may be closed to School of Choice, but for the 2019-2020 school year, all of our schools except those listed as standing exceptions are able to accept School of Choice applicants. As long as the school is not filled to its capacity with existing students and incoming neighborhood students, students living outside the neighborhood boundaries of a school may apply to enroll in that school, and the school may accept these students until the school is filled to capacity. If there are more applications than there are available spots for interested students, the school will conduct a random lottery to select the number of students they are able to accept. Sinaloa Middle School will be a holding a "Parent Information Night" on Tuesday, January 29th at 6:00 p.m.
Sinaloa campus tours will be every Thursday in January and February at 9:00 a.m.
Open House & Saber Spotlight will be Thursday, February 21 from 6 to 7:30 p.m. Deadline to apply is Thursday, February 28, 2018. Note: Please call 805-520-6830 if you missed the deadline. Please come to one of these events and see all of the wonderful things happening at Sinaloa Middle School, a California Gold Ribbon School and California School to Watch! The Festival of Arts Youth Movement (FAYM) planning committee! FAYM is a student-run event with support from the local Rotarian chapter. This is a family-friendly event that provides youth an opportunity to experience different mediums of arts. There will be booths with games, arts and crafts, live performances, and food! All of the proceeds made will go directly to the charity "A Place Called Home". 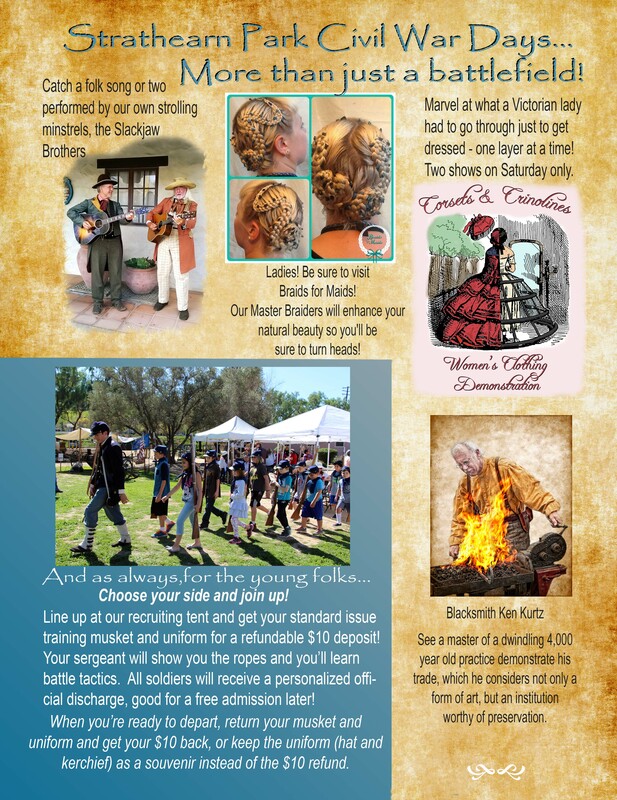 The event will be held on March 23 at the Rancho Simi Community Park from 1-6pm. General admission costs are $10. Nominated individuals or organization who have made significant contributions to the well being of children, youth or families in this school and/or community can be considered for this award. Current members, officers and teachers may also be considered for this award. Very Special Person Award (VSP) - To recognize an individual or organization for contributing to the school community in a special way. Honorary Service Award (HSA) - To recognize an individual or organization for contributing to the schoolcommunity, going above and beyond what is asked of them. Continuing Service Award (CSA) - To recognize an individual or organization for ongoing or long-time service to children and youth, providing support year after year. Golden Oak Service Award (California's Highest Honor) - To recognize an individual or organization thathas made significant contributions to the welfare of children and youth in the school or community. Outstanding Teacher Award - Special recognition to a teacher for outstanding service in positively impacting the lives and welfare of children and youth in the PTA, school, or community. Outstanding Administrator Award - Special recognition to an administrator for outstanding service in positively impacting the lives and welfare of children and youth in the PTA, school, or community. Donations - Recognition is awarded when donations of $10 or more are made by a PTSA or an individual in tribute to a person, a group or in memoriam. On March 6 and 7, a very special educational program will take place at and around the campus of Royal High School. The program, "Every 15 Minutes," helps high school students make good decisions about drinking and driving, and encourages young people to make responsible decisions in all areas of their lives. Beginning in California more than 20 years ago, "Every 15 Minutes" is sponsored by the Royal High School PTSA. 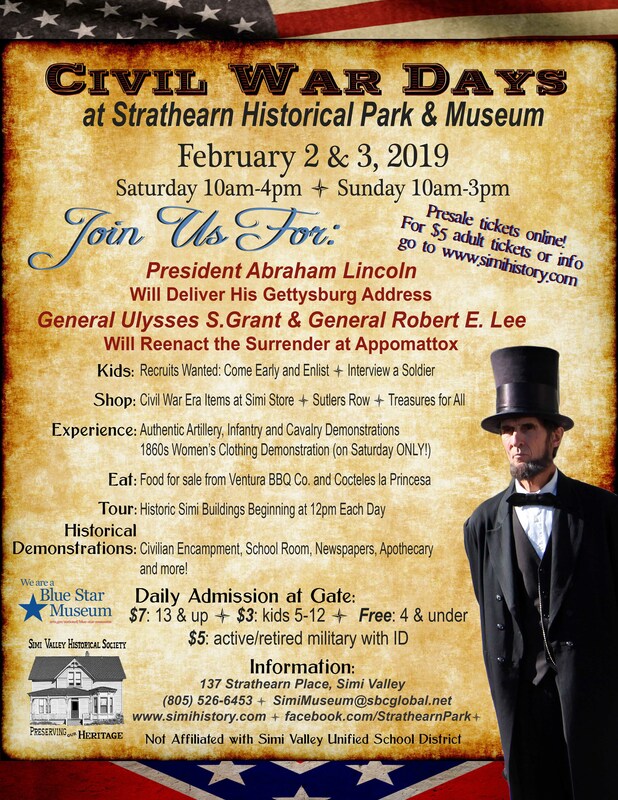 Planning for this annual program begins many months in advance and brings together numerous local agencies to carry out this two-day event. Area businesses and organizations donate time and funding to make this effort possible. In Simi Valley, "Every 15 Minutes" alternates each year between Royal High School and Simi Valley High School. In an effort to drive home the importance of making informed, intelligent choices regarding their decisions, Royal High School juniors and seniors will witness a staged traffic accident that will be set up on Arcane Street on the morning of March 6th. This staged accident includes student actors portraying a student who is a drunk driver and other students who are injured or lose their lives because of this "accident." Another important part of "Eve1y 15 Minutes" is the removal of one student from a junior or senior class at 15-minute intervals before the staged accident. The removal of these students speaks to the fact that every 15 minutes, someone is killed or injured by a drunk driver. The parents of all students who directly participate in " Every 15 Minutes" have been involved in both the planning and the delivery phases of the program. On March 7, an assembly will be held at Royal High School where juniors and seniors will view a videotape of the previous day's events, speak about their experiences as participants in the program, and listen to speakers who have special insight into the tragedies which can occur as the result of making the wrong decisions. We value our partnership with you in your children's education. 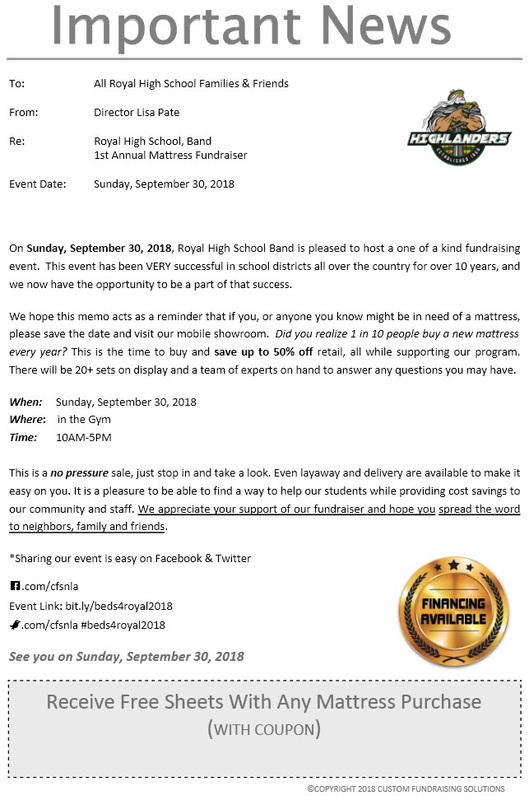 We also applaud the efforts of all of the agencies and organizations in our community who have pulled together to make this program at Royal High School possible. Please do not hesitate to contact Secondary Education at (805) 306-4500 extension 4206 if you have any questions about Royal High School's "Every 15 Minutes" program. Our book fair is coming and we need some help. The book fair is open before school, during lunch, after school, and during open house. The City of Simi Valley, Simi Valley Community Council, Community Coalition United and Public Library will host the City’s 3rd Annual Volunteer Fair “Building Compassion Through Volunteering” event from 6:00 p.m. to 7:30 p.m., on Thursday, November 29th at the Simi Valley Public Library. This will be an excellent event for students to learn about a number of non-profit organizations and the volunteer opportunities that they have available. Below is a list of the organizations that are confirmed to attend. Free tutoring for math competitions is available. See attached pdf for details. important milestones. In addition, revenues from recognition ads help our school to create a better yearbook. To purchase your ad online, follow the instructions on the attached form. do not contact or send materials to the school. of the form during the creation of your ad online. All ad orders must be placed online by 12/31/2018. 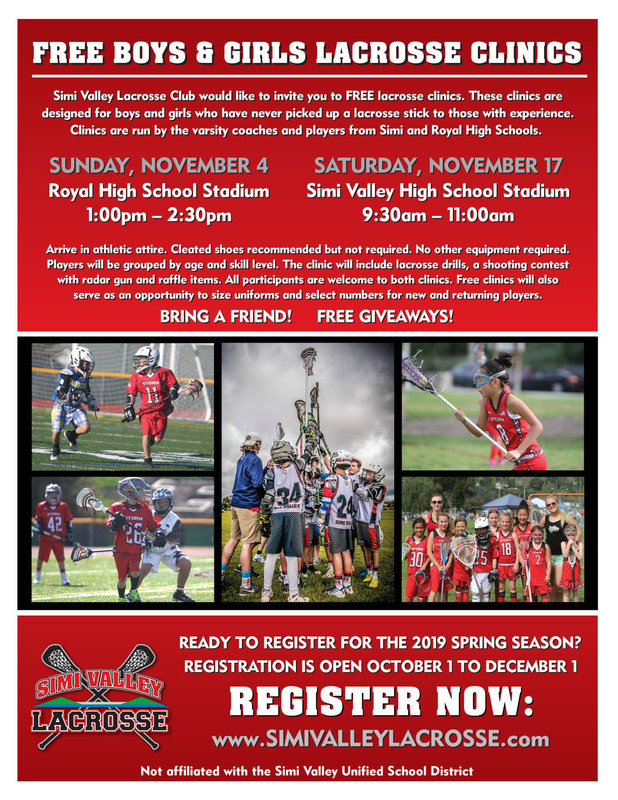 Please see the attached flyer about FREE Boys and Girls LaCrosse clinics. Proceeds help to buy new books for our school library. Please see the attached flyer about the Samaritan Center's Operation Shoebox. Please see the attached flyer about Flag Football and Cheer programs that are being offered. Step it UP! School Fundraiser Begins! Our fitness fundraiser, STEP IT UP! got off to an amazing start on Tuesday with an inspiring kick off assembly. Thank you to our students for being such a great audience! Our next step is to ask each of you to take action by clicking the link below. It will take you to our school’s fundraiser website where you can set up your child’s Personal Donation page and invite your friends and family to join our efforts by sending them a donation request. This entire fundraiser can be completed in TEN MINUTES OR LESS. Yes, really! Please do this as soon as possible. Send out TEN or MORE emails/texts via your Personal Donation Page and your child will qualify for Golden Ticket prizes and drawings! Have your child return their Golden Ticket to school tomorrow to be part of the fun! Join the REVOLUTION of FUN. It’s quick, it’s easy, and it’s a great way to support your student as they use their awesomeness to help others! Students at Sinaloa have the unique opportunity to be recognized, at the end of their 8th grade year, as Sinaloa Civic Student Leaders. This recognition is based off their participation in academics, extra and co-curricular activities, and participation in school governance. For questions about the program, see Miss Healy or Mrs. Gerfen. Details are attached. This is Bradley Torti, principal at Sinaloa Middle School with just a couple quick reminders for this week! First, Tuesday, August 28th will be the first day of zero period. Zero period runs Tuesday through Friday starting at 7:15. Administration will be available on campus as early as 7:00am. Second, anyone interested in Sinaloa wrestling should know that there is a parent Meeting here at Sinaloa this Weds. night 8/29 at 6:30pm in the Library for all students interested in Wrestling for Sinaloa. Boys and Girls welcome. Please see the attached flyer for more information. Lastly, Sinaloa PTSA is asking for your help with a Direct Donation campaign. Donations go directly to Sinaloa PTSA and support events ranging from Back to School Night to Staff Appreciation and State Testing. See the attached flyer for details. As always, thanks for being part of the Saber family and have a great week! Sinaloa Middle School's PTSA is asking for everyone’s involvement to ensure another successful school year. You can be involved as much or as little as your schedule allows. This is our primary PTSA fundraiser and 100% of your tax-deductible donation stays here at Sinaloa!!! The Donation Drive fundraiser is separate from the fundraiser sale that is conducted by the school. Of course, any amount you can contribute to make these programs possible will be appreciated. The “Donation Drive will continue to be accepted throughout the year. Please make checks payable to Sinaloa PTSA. Checks may be mailed to the school at the address below, attention PTSA or you can turn your check into the office. Attach this form or put “Donation Drive” in the memo area of your check. If everyone does a little, no one has to do a lot. IMPORTANT! All parents/guardians MUST update their Aeries authorizations and information before the start of the school year. SVUSD has prepared this helpful document to support families through this process, attached to this message. Orientations for NEW students to Sinaloa will be on Tuesday, August 7th and Wednesday, August 8th @ 6 pm in the Sinaloa Gym. New and returning students will receive more information about the Aeries Parent Portal, Orientations, and the selling of items (locks, PE clothes, agenda book, etc) in late July or early August. New 7th and 8th Grade Orientation is Tuesday, August 7, 2018 at 6:00pm in the gym. 6th Grade Orientation is Wednesday, August 8, 2018 at 6:00pm in the gym. 8-7-18 update: The agenda books were shipped late and will not be distributed until after school begins. First Day of School is Wed. Aug 15th - Important Information Here! Homerooms will be posted outside of the Counseling office after 4:00 pm on Tuesday, August 14th. School begins Wednesday, August 15, 2018. Students will receive their full schedules during homeroom on the first day of school. Locks and agenda books (no P.E. clothes) will be sold in front of the school on Wednesday, August 15th from 7:30 am to 8:10 am. Credit cards will not be accepted at that time. All sales will be cash and checks for the exact purchase amount. Checks should be made out to Sinaloa Middle School. Students who purchase their lock and agenda book online, and bring a paper receipt showing the completed purchase, will receive their lock and/or agenda book in a separate "Express" line. School lockers* will be assigned by the homeroom teachers on Monday, August 20th. The only locks allowed on school lockers are locks purchased at Sinaloa. Combination locks purchased at Sinaloa from previous years are allowed. Non-Sinaloa locks will be removed and may be cut off the lockers. P.E. locks and lockers will be distributed by the P.E. teachers during P.E. class. P.E. locks do not require a purchase. Students do not need their P.E. clothes the first week of school. The P.E. teachers will tell the students when it is time to bring their P.E. clothes. *All parents and students must have an active Aeries Portal account in order to view grades, attendance and other important information. Parents must complete the Parents’ Rights, AUP forms through their Aeries Parent Portal each year as well as the Agenda Book signature pages. Students will NOT be able to access electronic devices, computers, lockers etc., until these forms are completed by their parent. The Sinaloa staff is looking forward to a great new school year! Good news! You can prepay for items with MySchoolBucks and pick them up during the above sales dates and times. No additional fees are charged for this service!. After those dates, PE uniforms can be picked up from the PE teachers, agenda books and locks can be picked up at the ASB Office. *Note: The agenda books were shipped late. They will be distributed the first week of school. The ASB Office will be closed Thursday, August 9th and Friday, August 10th. Diana Woolley Photography is offering a video and photo package of the 8th grade Promotion Ceremony on June 7th. Order forms will be passed out at the event or you can print one from home. SINALOA MIDDLE SCHOOL RE-DESIGNATED SCHOOL TO WATCH! Thursday, May 25, 2018 Sinaloa Middle School had a re-designation from Dr. Howard, director of the Schools to Watch program to ensure we are continuing to grow as a model middle school. We were awarded this designation in 2013, were re-designated in 2016...& we have once again been re-designated for 2019! KAHUNA FLOWERS Available for Pre-order! Interested in playing football for Royal High School next year? Please fill out and submit the Google Contact Information form (link below) to Coach Lewis and he'll be contacting you in May 2018. FAMILY MOVIE NIGHT FRIDAY MAY 4TH! ASB Purchases - No Checks after May 11, 2018! The ASB office will not be able to accept checks for purchases after May 12, 2018. All transactions will be cash, credit or debit cards after that date. Bus passes and yearbooks will be cash only. Yearbooks are Sold Out. Pre-Orders in ASB Office. 6-1-18 UPDATE: Yearbooks are sold-out. Pre-ordered yearbooks can be picked up in the ASB Office. Online Yearbook Sales ended Monday May, 28, 2018 (deadline was extended). That was the last day yearbooks could be purchased with a debit/credit card or checking account. Any extra yearbooks will go on sale for $50 cash only (no exceptions) in the ASB Office on May 30th with priority to the 8th graders. We ordered fewer yearbooks than last year so we expect to sell out by the end of the first week! See attached sales schedule for details. Would you like to pursue a Sinaloa Civic Student Leader certificate? If so, please fill out this Google Form application to confirm your completion of the criteria to earn the Sinaloa Civic Student Leader certificate. Your application is due NO LATER THAN 3:15 p.m. on WEDNESDAY, MAY 16. Questions about the program? Contact Sarah Gerfen or Jennifer Healy.